For the social media generation, the hashtag is nothing new. For quite some time now, hashtags have brought together users and sharers from different platforms for literally a million reasons. People use hashtags for things like big sports games, like football or rugby (e.g. #Superugby or #UCL) and global happenings like elections and celebrity crime scandals. Big social networking sites like Twitter, Instagram and Tumblr use hashtags, and this has proven an effective way to enable users to engage with each other and unite in conversation under one universal topic tied to a hashtag. Until now, Facebook has been missing out on the action and its users have been turning to the more enabled sites to be part of this growing craze. 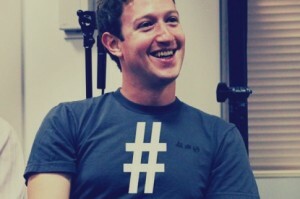 But now die-hard Facebook users will be able to boast usable hashtags on their timelines too. When they want to search for topic engagement, content that is already available or trending headlines on social networking sites, they will be able to do so with the new clickable and functional hashtags. People want to know what other people are talking about, where they are, what they are using or eating, or even buying. Hashtags make all of this easier. Businesses will also definitely benefit from Facebook’s introduction of the popular hashtag. A business thrives on social networks through active engagement and exposure. What better way to achieve this than have your company name or services included in a hashtag? Facebook is still ranked number one as the most used social networking platform worldwide and the new hashtag support will just be an even better integration for users and companies alike because engagement is key. With conversations and searches being brought to the fore on this huge platform, a business with a savvy social media strategy will know to take advantage of this!